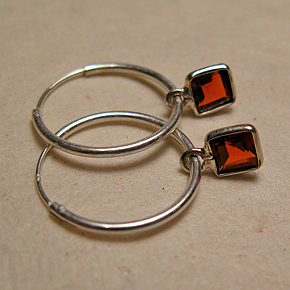 We've just added this line of earrings by local designer, omï martens, to our online boutique. Made with sterling silver or 14k gold fill and beautiful semi-precious stones, they add just enough sparkle. 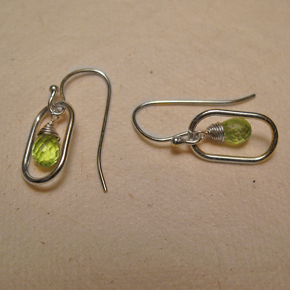 We heart the garnet hoops and peridot ovals. They also make a great Valentine's Day gift - wink, wink, nod, nod gentlemen! !